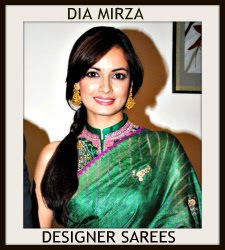 pastel green color embellished saree having floral embroidery, paired with a sleeveless golden color embellished blouse. 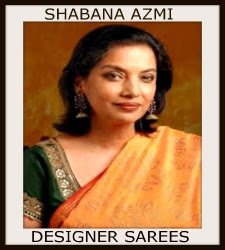 Stylish Manish Malhotra saree paired with sleeveless blouse. 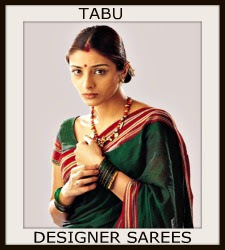 Nice green net sabyasachi saree paired with contrast red embellished sleeveless blouse. Two toned saree with delicate floral embroidery all over. Sri Devi attended Chiranjeevi's 60th birthday celebration event wearing a pastel green color embellished saree having floral embroidery, paired with a sleeveless golden color embellished blouse. 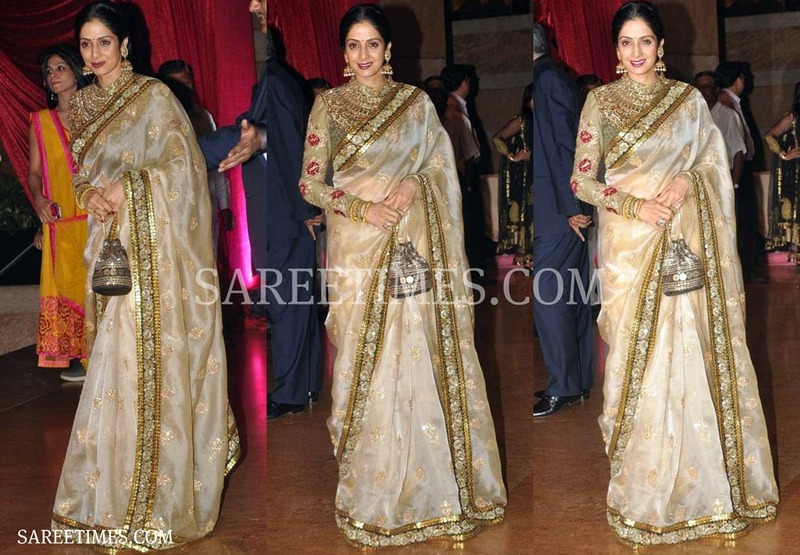 Sridevi at Aga Bai Arechyaa 2 Music Launch in a cream Manish Malhotra sari. 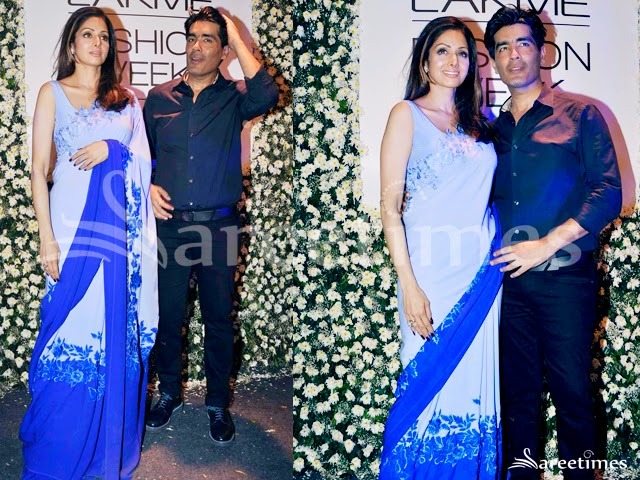 Sridevi at Manish Malhotra's fashion show in designer blue saree. Two toned saree with delicate floral embroidery all over. Actress Sree Devi at ANR movies platinum jubilee function wearing light pink Georgette designer work saree. Micro printed work all over saree paired with matching short sleeves saree blouse . Bollywood and South Indian actress Sridevi in designer orange color saree,Embellished with floral printed work and designer border.Paired with white sleeveless saree blouse with open neck pattern.It seems to be Manish Malhotra saree. Sridevi and Kareena Kapoor at NDTV Indian Of The Year Awards 2013. Left: Bollywood and South Indian actress Sridevi in beautiful yellow designer embroidery shimmer faux georgette saree. 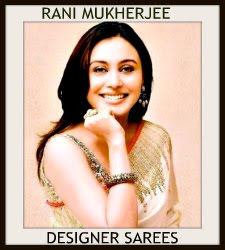 Designed by Sabyasachi. White embellished patch work designs through out green border. Embroidered work on it. It is paired with green designer sleeveless saree blouse. Right: Kareena Kapoor in beautiful Manish Malhotra collection. It is a white georgette saree. 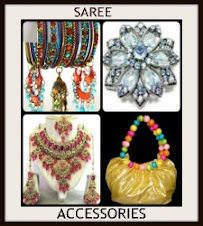 Gold embellished patch work designs and small embroidered sequins buttes,white thread work all over saree. White printed work through out border. 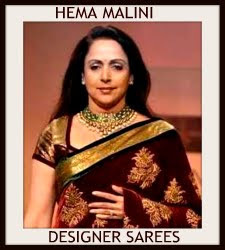 It is paired with red designer sleeveless saree blouse. 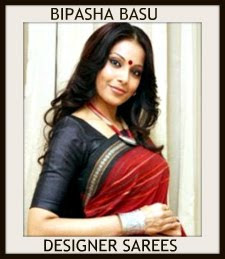 Bollywood hot celebrities in saree at LFW Winter/Festive 2011. 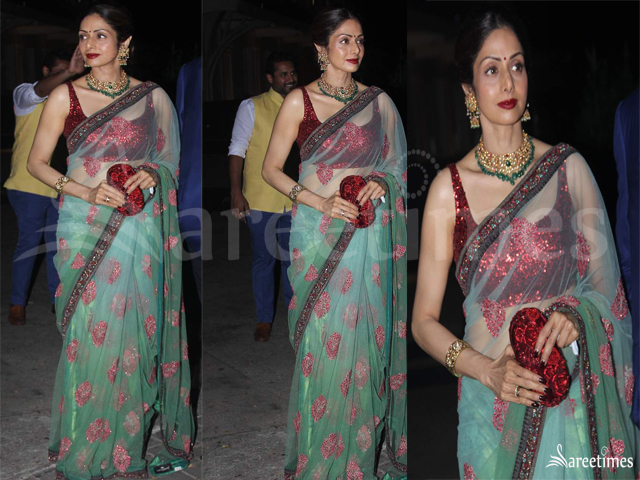 Bollywood and South Indian actress Sridevi in beautiful green designer embroidery shimmer faux georgette saree by Manish Malhotra at T. Subbarami Reddy’s Maheswari-Parameswari INOX Theatres Inauguration. Amazing antique jardhosi fancy border followed by greenish velvet border, the border highlighted with zircon stones and crystal work. gold chips work embellished throughout the saree paired with designer sleeveless saree blouse. Bollywood actress Sridevi in beautiful pink and silver designer lehenga, embellished with patch,sequins buttes,mirror and black border from designer Manish Malhotra at on the sets of halak Dikhla Ja. Bollywood and South Indian actress Sridevi in beautiful green designer cotton saree with gold zari border paired with designer short sleeves saree blouse. Bollywood and South Indian actress Sridevi in beautiful pink designer embroidery shimmer faux georgette saree with sequins buttes,mirror and embroidered border work paired with designer embroidered sleeveless saree blouse at Esha Deol-Takhtani Wedding Reception. 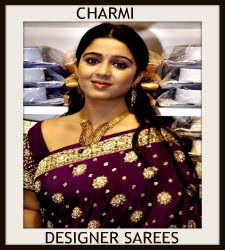 Bollywood and South Indian actress in beautiful designer sarees. Left: South Indian actress Manjula in beautiful designer multi color uppada silk saree with red border work paired with designer ruffled sleeves saree blouse with round neck. Right: South Indian actress and Manjula’s daughter Jr. Sri Devi in beautiful green and red designer traditional silk saree with printed work paired with designer embroidered short sleeves saree blouse with kundan,stones,sequins buttes,studs and round neck pattern. 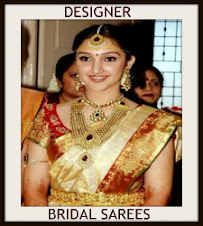 Left: South Indian actress and Manjula’s daughter Preethi in beautiful yellow designer traditional silk saree with gold zari border work paired with designer ruffled sleeves saree blouse. Left: South Indian actress Devayani in beautiful green designer silk saree with zari border work paired with designer short sleeves saree blouse. 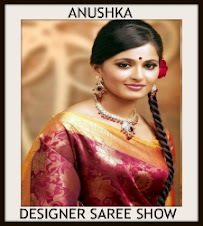 Right: South Indian actress Sonia Agarwal in beautiful white designer georgette saree with embroidered border work paired with designer embroidered short sleeves saree blouse. 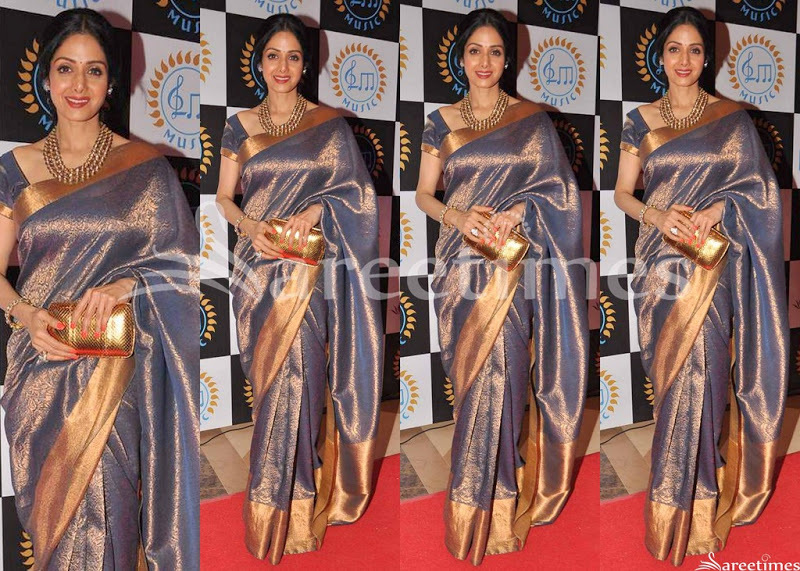 Bollywood and South Indian actress Sridevi in beautiful silver designer embroidery georgette saree. The border is highlighted embellished with sequins buttes, studs and double border work paired with designer embroidered full sleeves saree blouse with collar neck pattern from designer Sabyasachi at Genelia and Ritesh’s Reception. Bollywood and South Indian actress Sridevi in blue and pink designer gorgeous saree with printed and border work paired with designer halter neck saree blouse. 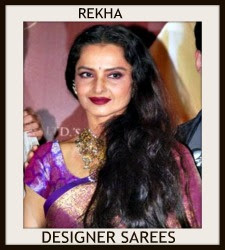 Bollywood Celebrities in Sabyasachi Sarees at Lakme Fashion Week Winter/Festive 2011 Day 3. 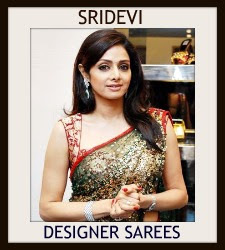 Bollywood actress Sridevi in beautiful green designer saree with gold zari embellished .embroidery lace border work paired with sleeveless saree blouse from designer Sabyasachi at Lakme Fashion Week Winter/Festive 2011 Day 3.